Book minimum 40 days in advance and get a special discount up to 10% Off Accommodation. Limited period offer! Stay minimum 3 nights and get a Complementary Dinner Per Stay. Book Now! . 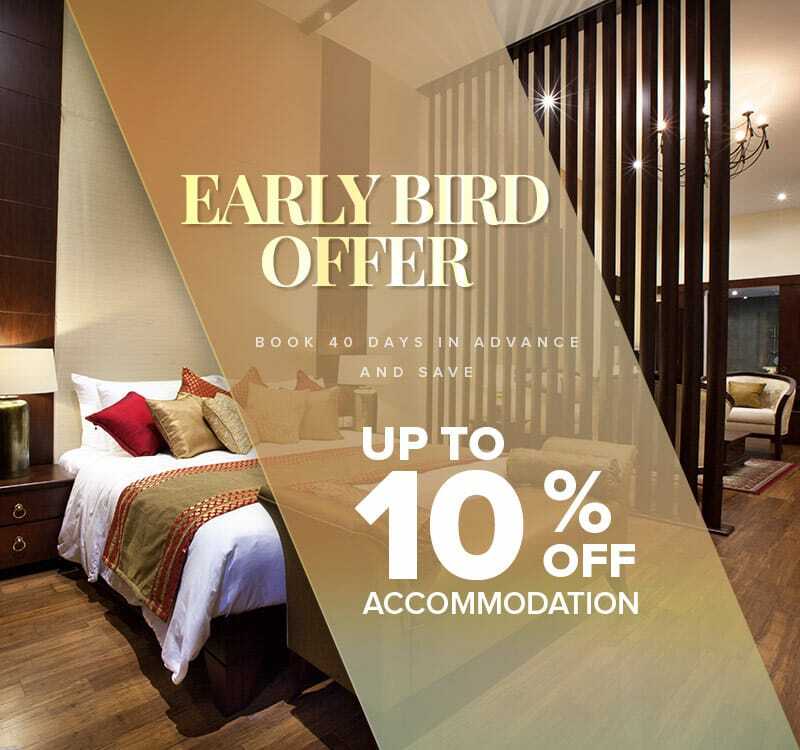 Book minimum 40 days in advance and enjoy up to 10% off on accommodation. Rates based on percentage off best available rates. Rates subject to service charge and applicable taxes. Rates quoted are per room per night and subject to seasonal variations.